The phone interview is often the first step toward an on-site interview. Since conducting in-person entry level interviews takes time and resources, many employers may elect to pre-screen job applicants through telephone interviews. Although a phone interview usually is not as pressure-filled as a face-to face job interview, it still is in your best interest to conduct the most professional and personable phone interview possible. 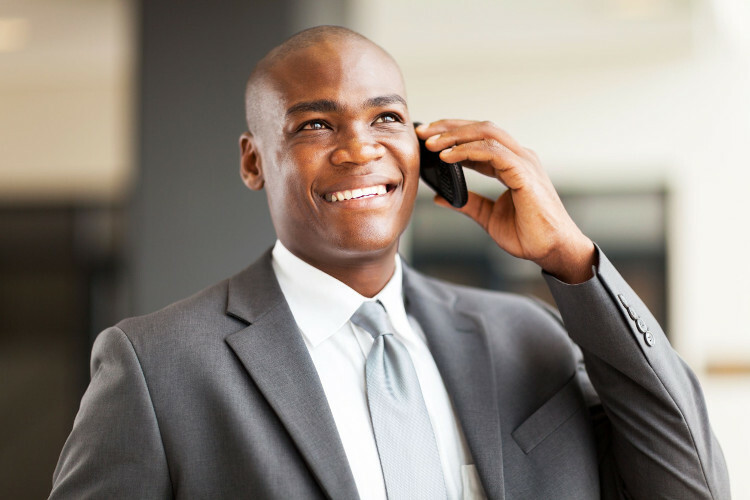 Prepare for a phone interview much as you would for a regular in-person job interview. Your chances of getting hired can increase dramatically if you get it right. Here is a guide to getting the most out of a telephone interview. This is NOT the time for a dropped call or poor communication. Cell phones often do not have connections as clear as regular phone lines, and it can be hard for the interviewer to hear your responses. If you only have a cell phone, find a calm, quiet place where you can conduct the interview. Your interview space should be free of radio, television and other bothersome noise. Your interviewer probably is looking at these items on his or her desk as you speak and might refer to certain items on your resume or in your cover letter. Keeping both documents front and center allows you to quickly discuss your career highlights, achievements, work history, schools and colleges attended, and education level with no stumbles in the conversation as you try to remember pertinent points. Do not underestimate the importance of professional dress, even though you won't be seen on the phone. Perhaps it sounds silly to dress for a phone interview, yet being dress for the role puts you in a positive psychological state of mind and can lead to a more professional, confident telephone interview. Telephone screening interviews are not much different than regular job interviews, just that they are conducted over the phone instead of in person. Common questions may include your accomplishments, technical questions about your potential fit for the role/industry/field, what you are seeking in your next role, etc. Research common interview questions and prepare answers beforehand to keep the conversation rolling smoothly. As with any job interview, if you ask smart questions about the job's responsibilities and duties, you sound prepared—and interested. Knowing what you are talking about could land you that crucial in-person interview. Craft a crib sheet about the company, its competition, and the industry in general. Also, end the conversation by inquiring when you might hear back from the company—this simple question can negate long, angst-filled waiting times. This is an extremely important part of good communication. Do not attempt to take control of the conversation. Answer questions appropriately, but with brevity, and keep your tone professional and courteous. Let the interviewer speak about the position and your role, and if you have questions, make a note and ask them when the interviewer has finished speaking. Always provide a pause to give the interviewer the opportunity to ask another question. Lastly, remember that this is just a screening interview. Your goal should be to set up the next step in meeting with the employer for an in-person interview.